For the good or for the bad, during my time in Dubai, I was not able to go on the two photowalks as planned. So, here I am substituting those with 2 Eatouts instead! Six, open kitchens. The six live cooking stations in this restaurant at JW Marriott Marquis Dubai are what give it its name and also makes this the most popular destination for lazy weekend brunches and grand buffets. You will be spoilt for choice – with a spread truly fit for a king – from European Breads to Indian, Asian Woks to Arabic Desserts. and, of course the Middle Eastern Grills, how can one miss out on these, when you are in this part of the world! & the desserts? What about them?? 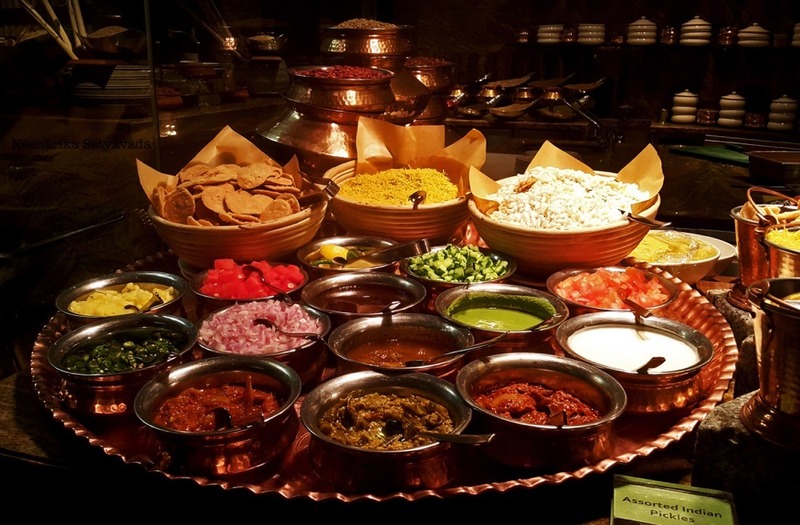 It definitely is one of the more enjoyable buffets in Dubai, not just because of how much there is to choose from, even for vegetarians but also because of the layout where every table feels like a snug little nook, say as against a buffet in Atlantis where you are too busy jostling with the crowds to really enjoy a relaxed meal. Kitchen 6 sure is a must try if you are someone who can do justice to a spread like this! Truly tempting! You’ve managed to capture it so well!